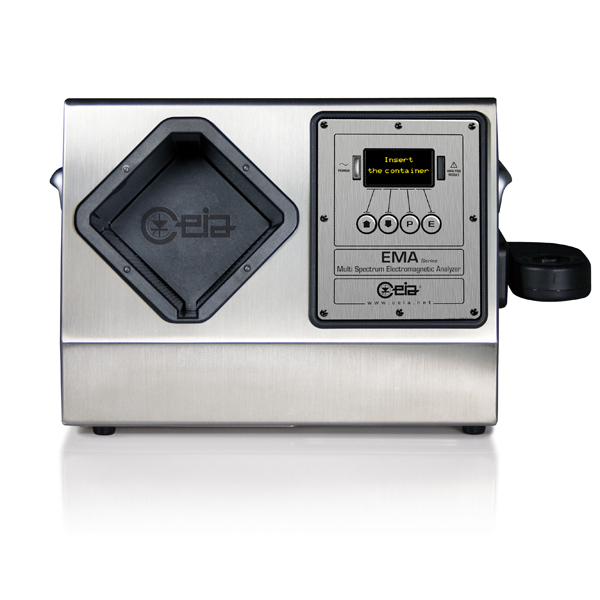 The EMA is a compact device designed for the analysis of liquid containers and their contents with the goal of detecting the possible presence of explosive precursors and explosive liquids. When the operator places the bottle in the inspection cavity, its presence is automatically detected and the analysis is performed in ~ 5 seconds. 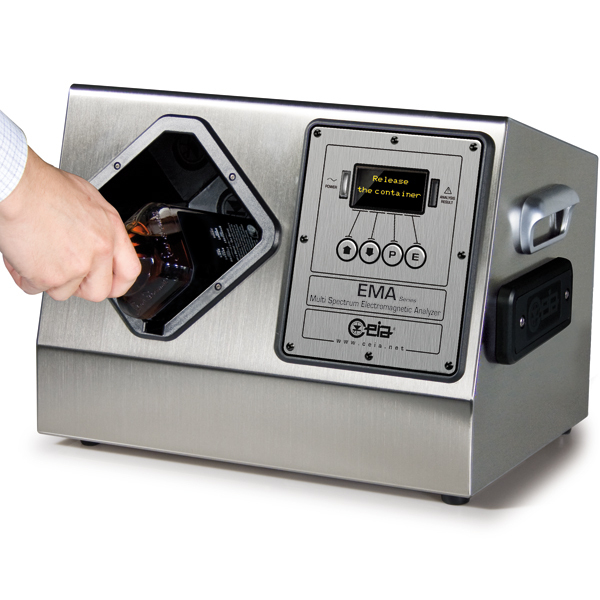 The EMA is a compact device designed for the analysis of liquid containers and their contents with the goal of detecting the possible presence of explosive precursors and explosive liquids. The content of the bottles is analyzed without the need to open the container as the detection is effected using simultaneous multiple sensing technologies. The housing of the analyser, which is extremely robust, durable and easy to clean, is made of AISI 304 Stainless Steel and anti-friction plastic. 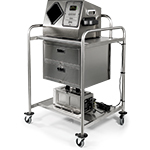 The Analyser consists of a main body, a control panel and an analysis compartment. In case of open containers such as cups and thermos flasks, it is possible to carry out the analysis by means of the type A integrated analyser (optional), using small disposable plastic sample cups to be inserted into an external probe. 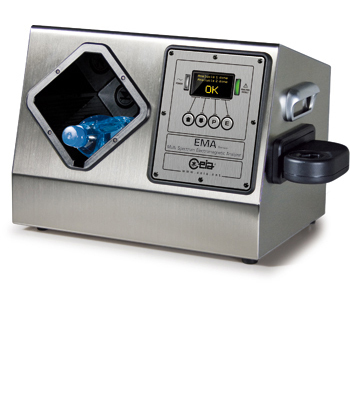 Type B Liquid Explosive Detection Systems are intended for the inspection of individual liquid containers with the purpose of detecting explosives and their precursors, according to the current Regulation Authority requirements (EU Reg. No 185/2010). As containers can be made of different materials and can have different geometry and volume, the use of multiple simultaneous physical principles is necessary for a reliable and secure screening. 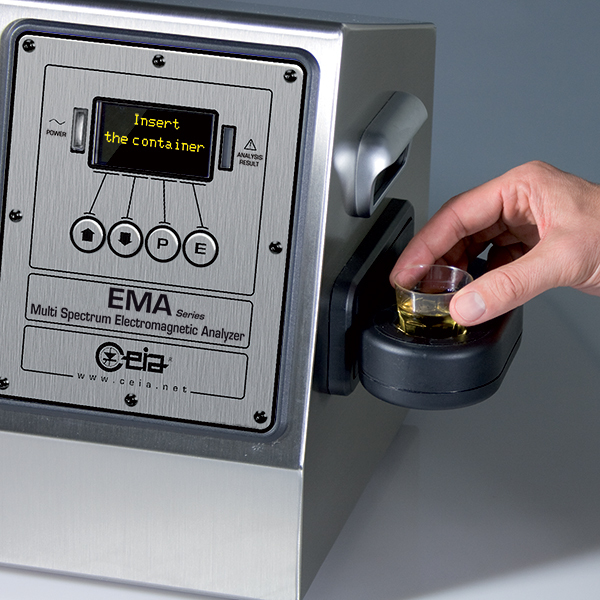 The CEIA EMA analyser family design started in 2003; since then the number of sensors installed on-board have been growing in order to comply with the increasing requirements on the liquid threats to be detected and on the kind of containers to be inspected. The comprehensive set of sensors installed on the equipment makes the EMA liquid analyser a unique machine on the market providing very high security and set for future detection requirements. The CEIA EMA includes an EU Standard 3 Certified type A analyser (optional) to screen loose liquids, open containers or following to an alarm on the type B section. A disposable cup allows sampling and measurement of a minimum quantity of liquid to be analysed. When the operator places the bottle in the inspection cavity, its presence is automatically detected and the analysis is performed in ~ 5 seconds. The fields generated in the inspection cavity are weak in intensity and non-ionizing, therefore completely safe for the liquids and for the operator. The fields interact with containers and with their content. 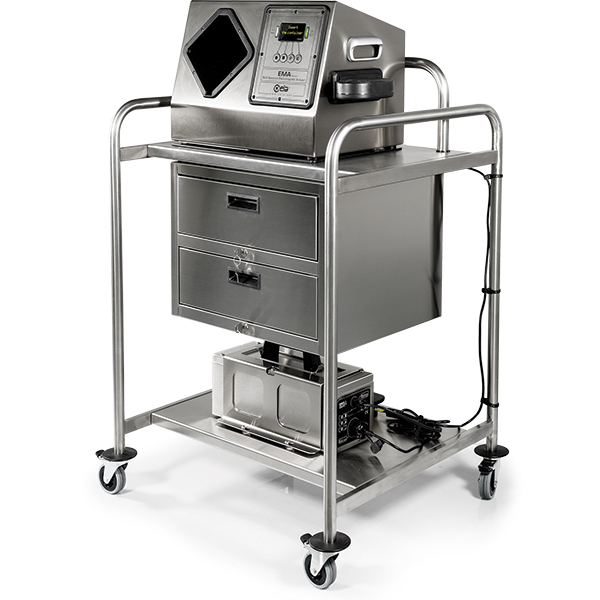 The entire volume is analyzed in order to verify its conformity with allowed liquids. After a few seconds, the unit provides an OK or ALARM message without requiring any data interpretation by the operator. Calibration is carried out automatically by the unit. 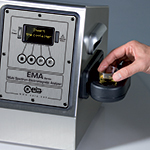 EMA is designed for the analysis of LAGs in their original container. 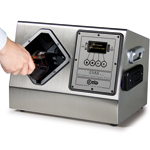 In case of open containers such as cups and thermos flasks, it is possible to carry out the analysis by means of an optional type A analyzer, using small disposable plastic sample cups. The external probe is installed on the right side of the device. Analysis time: 4 sec. 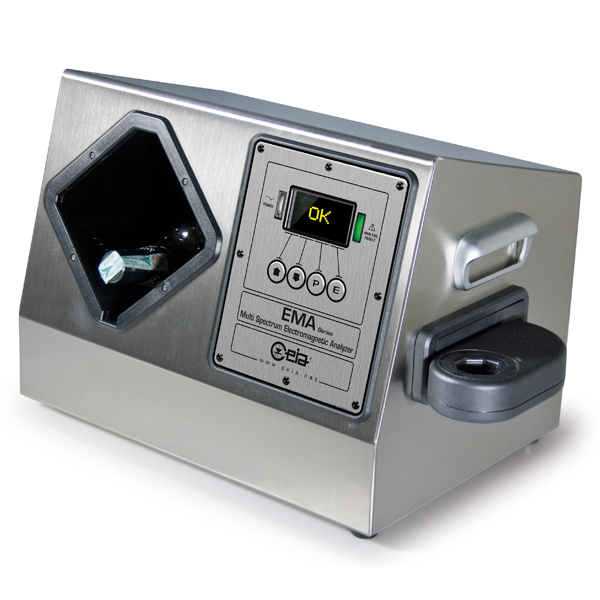 Robust Stainless-Steel Cart, specially designed for optimal use of EMA. Wheels and locking brakes allow comfortable mobile deployment.